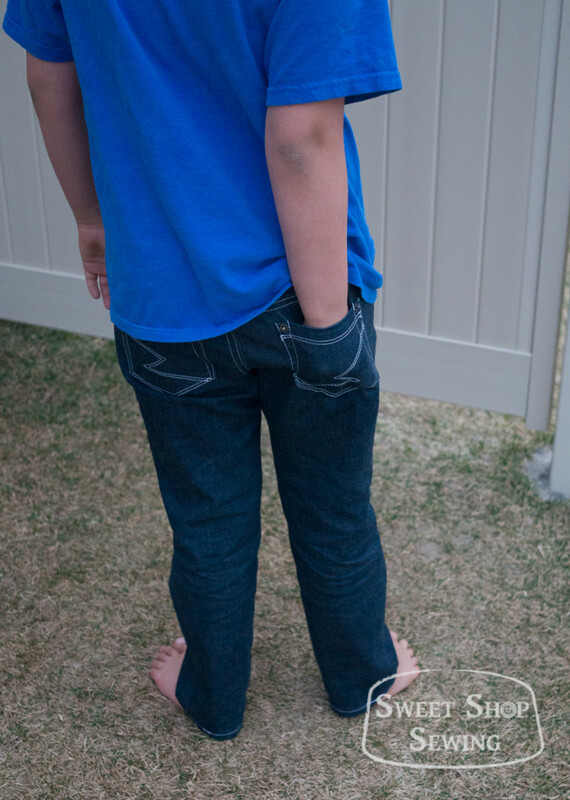 I finished Seth’s jeans I was talking about in this post. 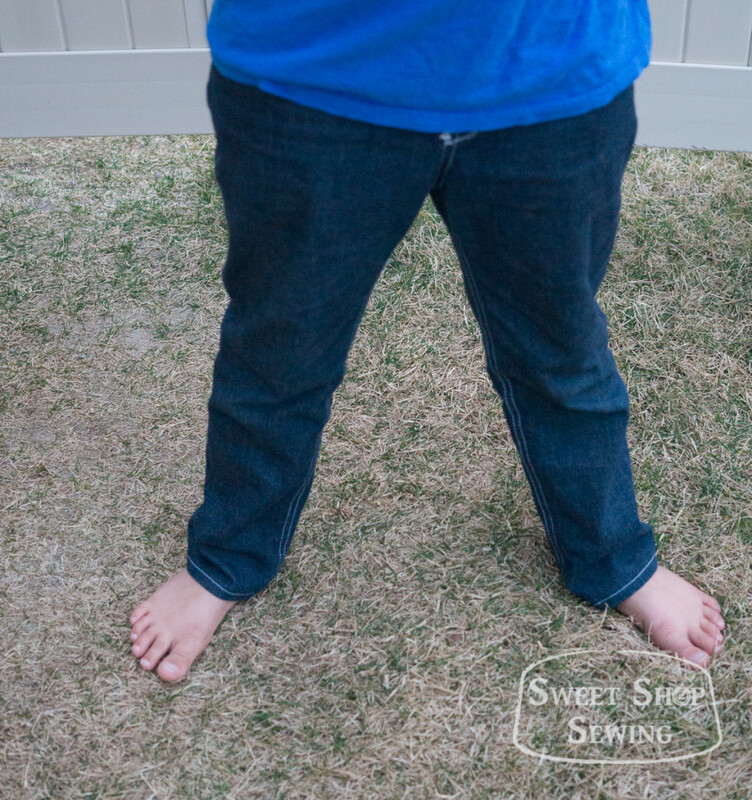 I used the Small Fry Skinny Jeans pattern again-I’ve used it countless times now! I made these with a fly instead of an elastic waistband, which was a first for Seth because up until now he has just wanted elastic waistband pants. I had a hard time trying to figure out how to have them sit under his belly (which is how he wants to wear them, and I don’t blame him) without being too low in the back. I did my best by adding more to the back crotch curve. I did this by adding about 1/2″ to the middle of the curve by cutting from the crotch curve to but not through the outseam and then lengthening the curve. Then I added a little bit to the end of the curve and blended it in with the inseam to add a little more crotch depth. They fit pretty good, except for a little gaping in the back of the waistband. Next time I think I’ll try curving the yoke a little more to get rid of the gaping. But they fit him better than store bought jeans, and Seth loves them! I finished them Saturday afternoon right before we were planning to leave for a family hike. 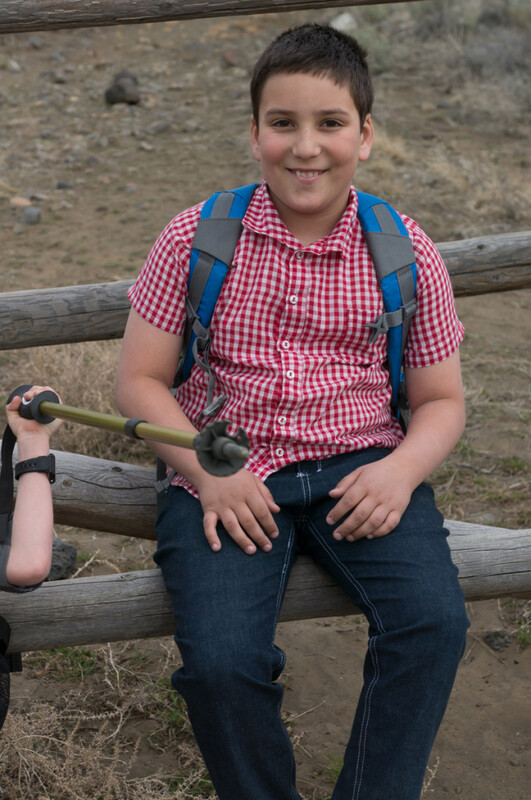 Seth insisted that he needed to wear them on the hike, so he did. I used more of the same fabric I used for my last pair of jeans to make these. I still really like that fabric, but when I washed my jeans for the first time after finishing them, they shrunk quite a bit! It’s a good thing I made them a little long and not super snug. And that shrinking came after washing and drying the fabric four times before ever making anything out of it. I won’t be drying them again. Anyway, Seth’s jeans are done. Hooray! 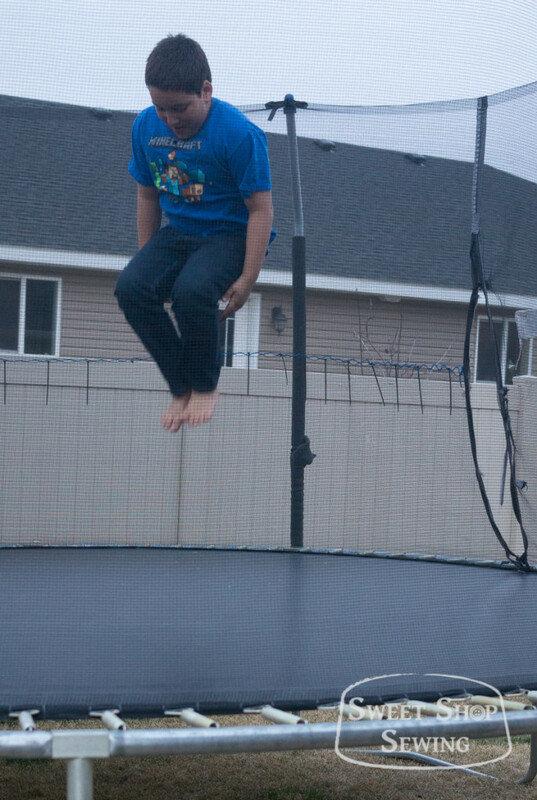 They’re very good for trampoline jumping too. 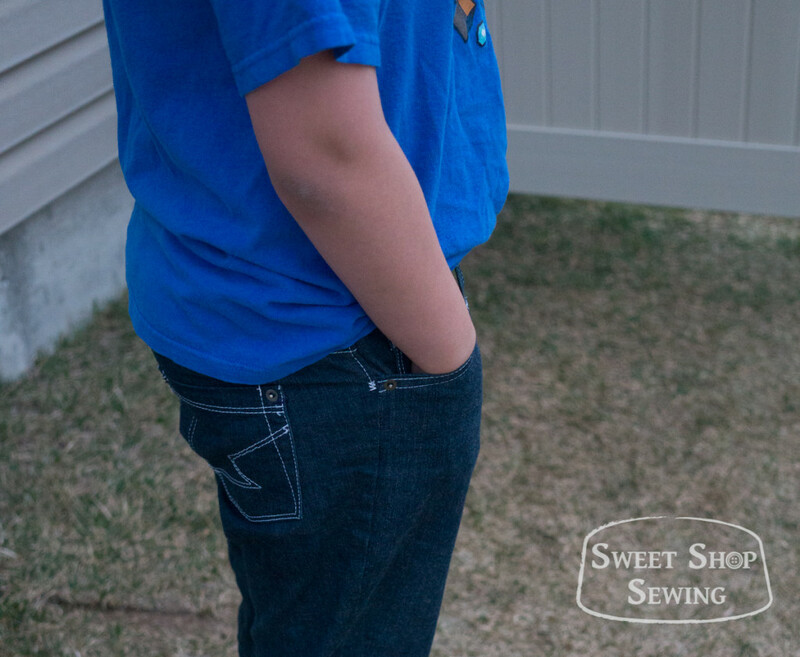 This entry was posted in Sewing and tagged Jeans, Seth's Clothes on March 18, 2015 by Bryanna. Oh you love this pattern don’t you! They look great, I love that your son is so happy with something Mum has made. I hope he didn’t get them dirty or ruined on your hike! Your topstitching looks great! 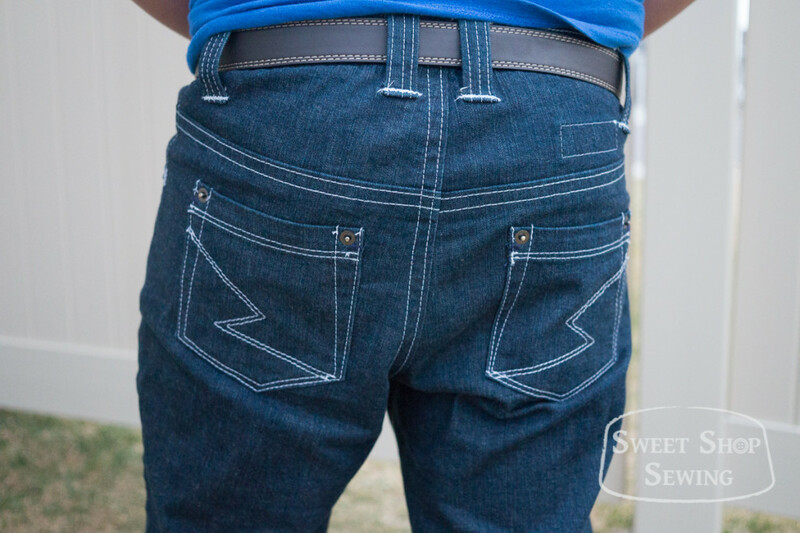 I really like the back pocket stitching too. I always have the gap in the back…on my muslin, I fold out darts on the back waistband and transfer them to the pattern (usually they’re 3/8″ deep, so not super big, but it makes a huge fit difference). The darts usually want to sit around the area of the back side belt loops, not at CB.